The non-slip perforated mat with reliable drainage and excellent resistance to oils, greases, and fuels. Whether at particularly wet, greasy, or oily workplaces – with the ERGOLASTEC Oil Superdrain mat, you are safe in the dry. Ja The ERGOLASTEC Oil rubber mat is suitable for oil-resistant workplaces such as workbenches, turning and milling machines, or chemical laboratories. Ja The ERGOLASTEC Oil superdrain can be used in all wet and oily working areas. Ja The rubber mat is resistant to various oils, greases, commercially available cooling lubricants, fuels, and non-polar solvents. Ja The perforated mat is resistant to various oils, greases, commercially available cooling lubricants, fuels, and non-polar solvents. 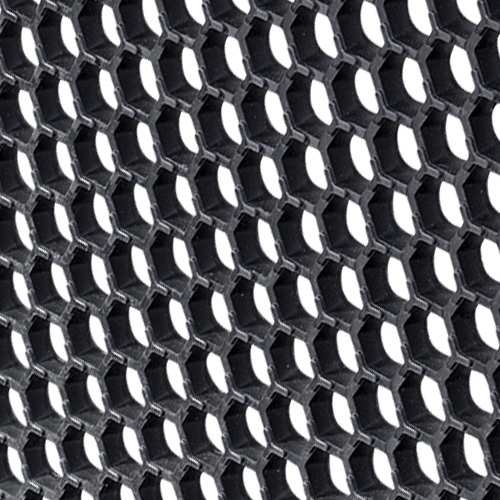 Ja The perforated mat has a nub structure for great slip-resistance.